Georgia State University, also known as State, Georgia State, and GSU, is a public university in the middle of Atlanta, Georgia. This school was founded in 1913, and over time, it has grown to be home to many students. As of 2017, there were over 50,000 students enrolled in this school. What follows is the list of the easiest courses available at Georgia State University! This course can be repeated for course credit as long as the topics selected by the professor differ from semester to semester. For example, students may study Greek drama, including tragedy by Aeschylus, Sophocles, and Euripides or comedy by Aristophanes and Menander. This course requires no prior knowledge of this course, and it provides students with an an introduction to computer and information systems concepts. Such concepts include hardware, software, databases, data communications, and business applications. The purpose of this course is to provide students with an overview of interpersonal communication skills, including how these skills affect individuals and groups in society. An emphasis is on personal and interpersonal strategies for understanding, appreciating, and managing communication skills in personal and career relationships. Further, this course helps students to focus on self disclosure, perceptions, spoken and unspoken communication, listening and responding strategies, as well as problem-solving skills. This online course serves to provide students with an overview of career and lifespan development theories and skills. Another benefit to this course is that student learn how they can employ those skills in their own career and lifespan development. The course will include how personal growth and life stages impact individuals and society, and in turn, their career choices. This unique and interesting course provides an examination of the philosophical theories that underly ethics and how they relate to law enforcement, courts, corrections, law, criminal justice research, and even principles of justice. This course uses films and research to help students to analyze educational issues of historic and contemporary significance. Students will discuss how films have shaped society’s perceptions of students, schools, and teachers and how these films either challenge or perpetuate stereotypes. This art course aims to help students master the structure, composition, representation, and interpretation of the human figure. This course can be taken alongside other art courses or individually. This hands-on and experientially based course provides students with a detailed an introduction to the field, observation, and child study skills. Students are required to participate in many service learning experiences in childcare settings, elementary schools, and other educational contexts–and the often enjoy this opportunity. This three credit course covers the principles, methods, and practices as they pertain to achieving career goals. An emphasis is placed strongly on the exploration of career opportunities, identification of strengths, resume development, cover letter composition, interviewing, salary and benefits negotiations, and networking. This course examines the new religious possibilities, new religious visions, and moral consequences created by the emergence of modern film. Topics covered may include a survey of film in different cultures, the history of film codes and regulations in the United States, and debates about the proper use of images in religion. 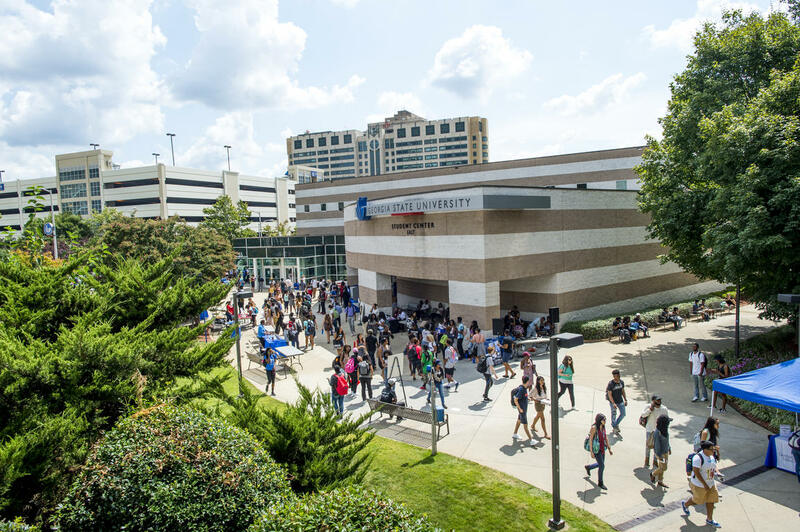 Ultimately, GSU provides students with ample opportunity to choose the courses that both interest them and fall in their own individual ability levels. So, whether a student is looking for a course in religion, education, or economic, they will be satisfied! Make sure to take a look at these courses, especially if you’re looking for a GPA boost!